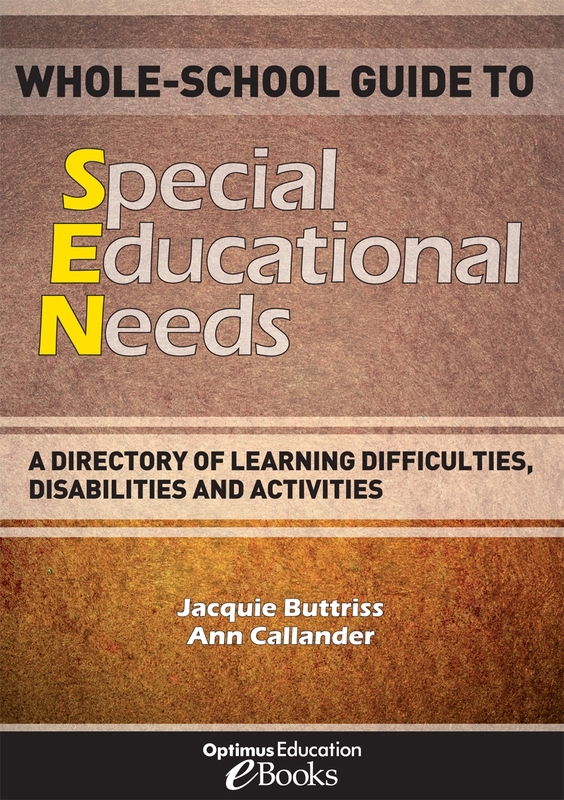 Whole-School Guide to Special Educational Needs: A directory of learning difficulties, disabilities and activities will give you essential background knowledge to help you provide for pupils with particular learning difficulties or disabilities. This easy-to-use guide will instil confidence in all your staff working with SEN students by giving them all the information they need to plan and deliver appropriate support. Providing all of the basic information that a SENCO and the whole staff team will need in one place, this eBook will save you time in your busy day. This new eBook provides you with basic medical information written in plain English, a special educational needs jargon-buster and activities for developing specific skills in the classroom. You will find essential information about learning difficulties and disabilities, and get immediate guidance on providing for pupils with SEN. The suggested activities will enable you to focus on developing specific skills with individual learners – such as spatial awareness, perception, memory and motor skills. The eBook includes an updated web directory of support organisations so that you and your colleagues will be able to find sources of help and advice, quickly and easily. Also provided is a guide to differentiation which will enable you to enhance or refresh classroom practice. Web directory – an extensive list of support organisations for help with providing for pupils, obtaining support and finding out more. • Web directory – an extensive list of support organisations for help with providing for pupils, obtaining support and finding out more. This eBook is adapted from the bestselling spiralbound book, A-Z of Special Needs for Every Teacher. The eBook is provided both as PDF and ePub files for efficient printing as well as searchable viewing on-screen. One purchase covers the whole school.